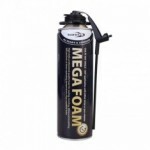 A dual purpose, solvent-based solution for effective cleaning of expanding foam applicator guns and removal of wet/uncured foam. 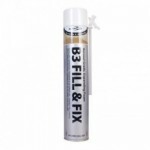 Regular cleaning is essential in order to prolong the service life of the applicator and optimise foam delivery. Attaches to standard foam applicator guns. 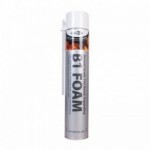 Removes and dissolves fresh, uncured PU-foam from expanding foam gun applicators. The can is fitted with an adapter ring which screws on to the gun. 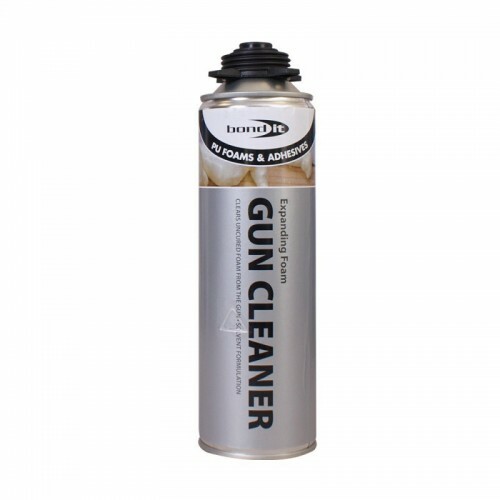 For use without the gun, the can is fitted with a spray head. This dual function meets the requirements of the professional user.